Looks like someone placed a trojan horse at the Google Zurich office. 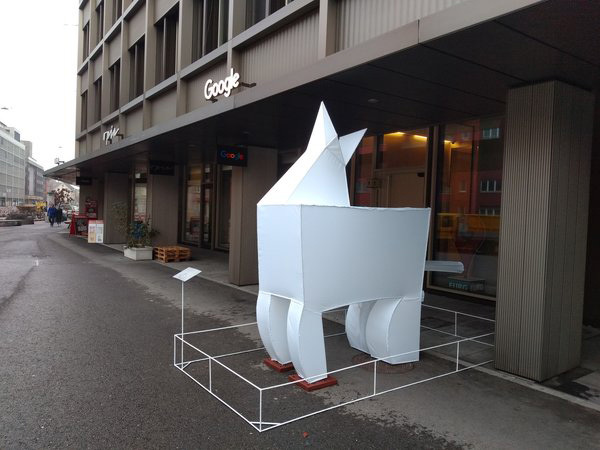 Someone on Twitter shared the photo and wrote "Someone attacked the Google office in Zurich with a Trojan horse." There was also this card which has more information about the artist over here.